VLM type-B transformerless capsule, wide natural response with vocal presence. The OM-Series microphones are designed principally for live vocal performances. 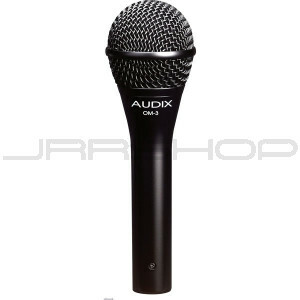 These microphones combine high performance, high levels of gain and very low feedback. The OM models all have similar characteristics: clear natural sound, incredible feeback rejection, and the ability to handle high sound pressure levels without distortion. The OM mics are probably the most "application specific" mics on the market.